This first one took place in the mediaeval town of Lecce, known as ‘the Florence of the South’, on 13th September 1986. I still recall what happened very, very clearly. My husband Ian and I were on a bus trip with a voluble female Italian guide in her thirties, determined to cram as much local information as possible into the heads of the ignorant Brits in her charge. As a result, not helped by the heat, we reeled off the bus somewhat brain damaged for our hour’s ‘free’ lunch break. As usual, everyone on the bus meekly shuffled behind the guide to the appointed watering hole. As usual, we did not. This was our first sight of Lecce and we wanted some quiet time on our own to enjoy it. The bus was parked in a dusty square, next to a big old church. I looked all the way up the spire, noticing an empty plinth at the top, and thought “Where’s the Archbishop?” I recall being instantly startled by this thought, as though it belonged to someone else’s brain – after all, I’d never been to Lecce. I loved Lecce on sight; it felt uncannily familiar. Missing out on lunch, I took Ian on a fast trot round the immediate area we were in, finding my way around with no difficulty. I pointed out a sunlit terrace above a street not far from the church, where, feeling that I was a man then, I used to sit at a table and write . Ian almost had to drag me by the ear back to the bus, since I was most reluctant to leave. I have long felt a strong affinity with Renaissance Italy, despite having never visited the country before. 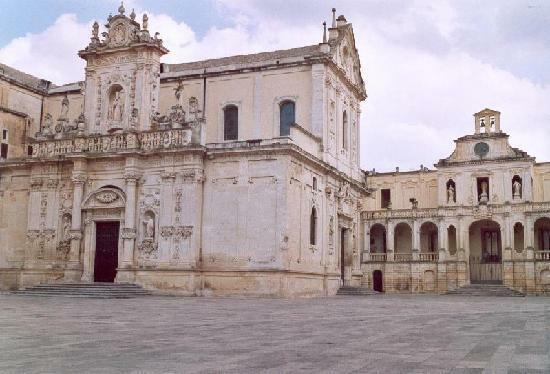 Some day, I’d like to return to Lecce and see what my reaction is then. But I’ll make sure it’s mid-winter, so that my rational self can’t blame a heat-addled brain for bringing me one of my life’s more peculiar experiences! This account is an extract from my memoir “Wisps from the Dazzling Darkness” – an open-minded take on paranormal experience – now published as an ebook and available HERE. This entry was posted in "Our deeply strange existence", 02 - New Posts: January 2014 onwards and tagged “Mad dogs and Englishmen….”, Lecce Italy, Noel Coward, reincarnation, the Florence of the South. Bookmark the permalink. Thanks, Leslie, for this affirming comment. And especially for that Lisa A Miles quote. She puts an important point about the essential continuity of the spirit, with such elegance. AND – many thanks for buying “Wisps from the Dazzling Darkness”! I do hope you enjoy it and that the analytical part helps you to frame your ‘uncanny’ experiences. You are most welcome. Looking forward to the read. what a gift – to escape from the crowd and to be rewarded with a direct line into the past! It’s comforting when our wispy instincts are validated; it would have been hard for me to leave – i would want to explore more of the area. It’s as if the site embraces me back home. I look forward to your next story! Thanks so much for sharing your similar story, P – Z ! It is my hope that by publicising experiences such as these, other people will share theirs. The non-rational, conventionally inexplicable realms of life have always been equally as important to humanity as those which are able to be rationally understood and analysed. Thank you Anne, you are an genuine story-teller. To me these are not “stories” but actual happenings to us. I have felt the same way, when travelling by ship to Scotland and The Hebrides. It felt as “homecoming”….I have been there before. Back in the 198os when visiting Seattle, that also felt as HOMECOMING. Another time, flying all the way from Scandinavia passing over Alaska down to Seattle to change flights for Los Angeles, and from there over to Hawaii in the 1990s, a well-known psychic lady on the trip told me of a recent incarnation of mine: my having been stationed in Honolulu at the navy base in Pearl Harbour in 1940/41, and as an young navy guy born in Seattle (Seattle and the surroundings are VERY similar to the area and the city of Oslo in Norway, where I was born this time around)…..and all of the time was LONGING FOR HOME in Hawaii….I visited Pearl Harbour while staying in Honolulu…..I felt “an urge” to do it. 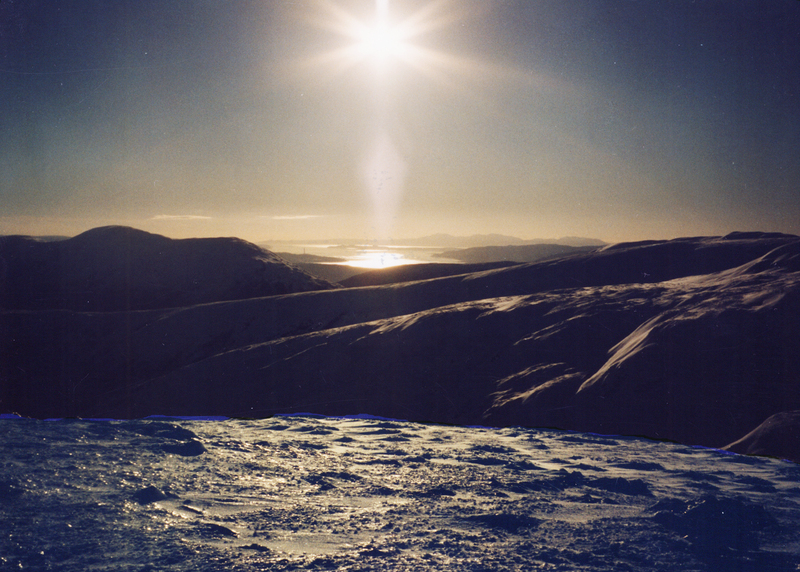 Of the big group of ladies from England, Iona in Scotland, Norway, Mexico, Canada and from all over the USA, many of them felt the same…Before leaving Norway I had several strange dreams about that trip…as well as information regarding WHY I was doing it.It was to release and to heal old wounds. Blessings to you from Inger Lise, and Looking VERY MUCH forward to hearing about more stories ….I LOVE them. Haven’t had an experience of connecting with a place. We’re planning on traveling to Italy to do the bus tour thing of Rome, Florence, and Venice next Oct. I’ll be on the lookout for all things spiritual. Have you done any regression sessions to see what you might get? I did, many years ago, but nothing of any great interest came out of it. Enjoy your Italy trip – if you are passing through Lecce, do give the refurbished archbishop a wave from me!